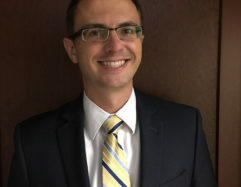 Cameron Christensen practices litigation law. Cameron has worked on several multi-million dollar cases, class action suits, and other complex litigation matters. Cameron completed a federal judicial clerkship for the Honorable Judge Helen Gillmor in the United States District Court for the District of Hawaii. Cameron was a senior editor for the Brigham Young University Law review. He worked as a lead articles editor for the International Law and Management Review and for the Journal of Public Law.